1. Why should I pick you? So why should you pick me? I will make you feel comfortable. I will capture things you didn’t even see happen. I will make you laugh….at least once…I hope. Humor me. I will smile after almost every picture I take. I will love what I do. Every time. Every shoot. Because unlike every photographer out there, I do this because I want to, not because I have to. I will put a few pics on facebook for you before your friends can even call to ask how your photo shoot went. I will edit your pictures as fast as I would want someone to edit my own. I will capture your smile, your kid’s giggles, the way he looks at you. All of it. And then you can hang it on your wall. Please don’t match. Please. Pretty pretty please. “Back in the day”, people matched. Back in the day, people also used polaroids, went to “that portrait studio” with a fake Christmas tree in the background. Back in the day, we also cuff rolled our jeans, gelled our hair, and got perms. Now, if you are still sporting a mullet, this may be hard for you to digest….times have changed. I am not saying that the matchy matchy thing is over. I’m just saying, it’s not me. If you are coming to Twist, you want to capture the uniqueness that is you, and your family. So much of that is lost on white shirts and khaki pants. Trust me. The best dressed families wear complimenting colors, not identical outfits. 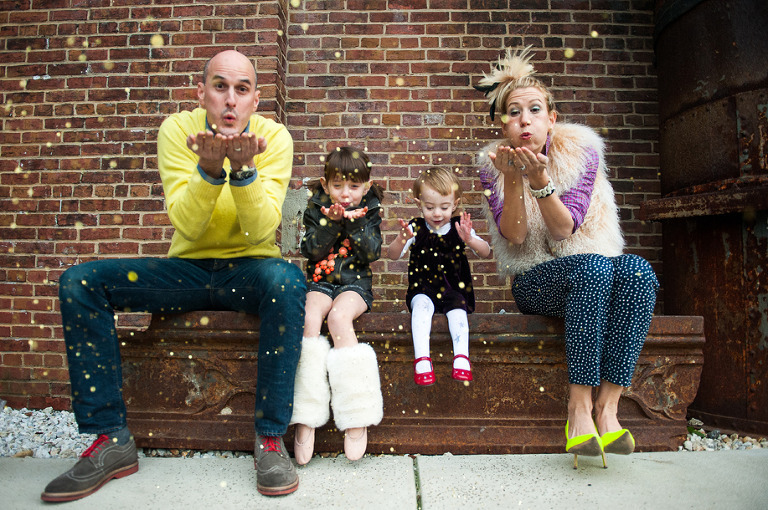 Sometimes, the best families wear fur, neon yellow, and leg warmers. And it just looks SO. RIGHT. Bright colors are always best, they make you look alive and fun! You are fun aren’t you? 3. Will my photos be in color or black and white? Twist photography edits each individual photograph before you receive the final product. Each photo will be edited in the way that is best for that particular lighting situation and in a manner that will be most flattering to you and your family. Your photos will be a combination of black and white as well as color when they are delivered to you. 4. Can I get my photos on disk? Twist photography offers the high-resolution digital negatives with all of their packages. Digital images are available for online download immediately upon delivery to you. It is included in the price of your package. Mailing disks seems so 2012 at this point. Instant downloads: all the cool kids are doing it. Twist Photography is a business that was created because of a love of people and moments. In a perfect world, the business would run itself. By design, we do not require that clients order prints through us. You have the freedom to print as you like, and we are free to spend more time shooting. With people. We offer instant file downloads to our clients. You will have the ability to wallpaper your house with all of your favorite photos. We do however strongly encourage that our clients utilize the best professional printing services available to consumers, mpix.com. In printing, you get what you pay for. Local stores, drug stores, and other online printing services that are often popular with families do NOT offer the quality of either paper or ink that you will receive with a professional site. Twist photos will look noticeably different when printed elsewhere. Colors will frequently appear off, and exposure can look very different than it was intended by us. Trusting us to capture your memories is a big choice and we want you to be happy with those photos. Please PLEASE trust your printing to a company that takes their product as seriously as we do. Any print orders made through your zenfolio set will be filled by mpix.com as well. 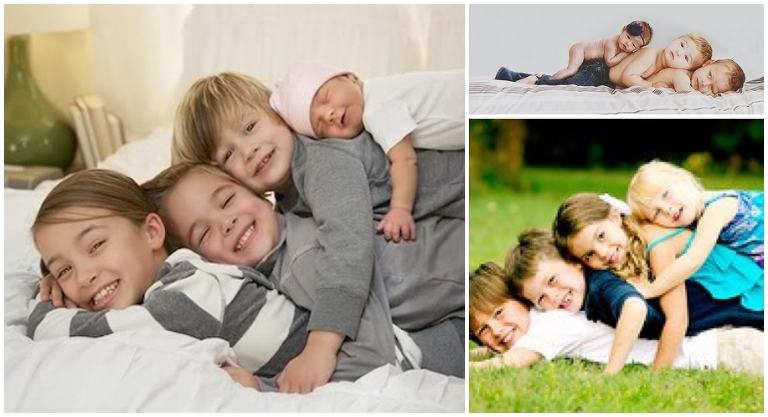 And yes….the brains and creativity behind Twist Photography prints all her family photos through mpix.com. 6. What do you shoot with? Two big, fancy cameras that cost more than my first car. 7. No seriously, what do you shoot with? I shoot with two Nikon D750’s. I have a variety of lenses in my arsenal, however my favorite is my 24-70 2.8. Or maybe my 35. Well, I also really really like my 105 2.0, or as I like to call it, “The bokeh-nator”. Don’t ask, I will have no choice but to get all “nerdy photographer” on you. 8. What is your style of photography? 9. How can I make sure my photos are awesome? Be awesome! Have fun, relax, and don’t stress out. Love your family like you would when you don’t have a photographer following you. Be up for anything. Don’t be afraid to get dirty or act silly. These are your memories, make them worth remembering! 10. You want me to shoot at WHAT time? Do you want your photos to be the best they can be? I thought so. There is a catch….photos are “morning people”. The golden hours for lighting are first thing in the morning and an hour before sunset. I know, I know, I didn’t make the rules. I just follow them. So I know what you’re thinking, my kids don’t get up that early, my husband will be cranky, and I hate mornings. I know. But the reality is…..it’s one day, and TOTALLY worth it! 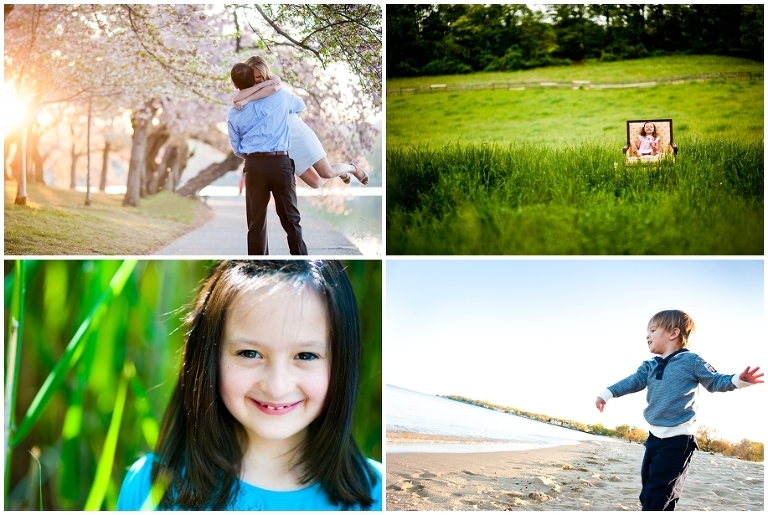 Family shoots are scheduled at 7am and engagement shoots at 7 pm (depending on the season). Other morning time options are only available on predetermined mini shoot days. If you want awesome pictures, please pick an awesome location. I can make some magic almost anywhere, and I LOVE LOVE LOVE to shoot at new, and creative places. It’s really ok in photography land to “think outside the box”. You do NOT have to shoot at a park or at the top of Federal Hill. 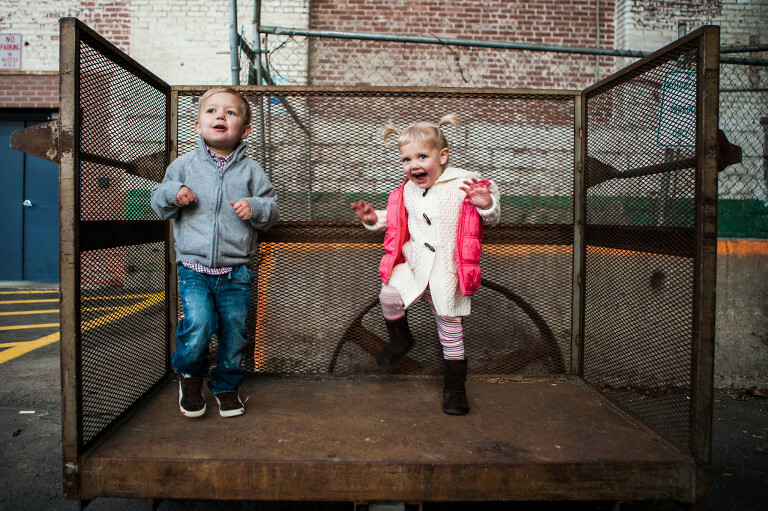 Some of my favorite photos of my family were taken on a rusty cart in a parking garage. And many of my client shoots take place at some off the wall places….and sometimes include bacon, oysters, beer, or ice cream. I can certainly point you in then direction of some beautiful locations, but as long as you are willing to shoot during the “magic hour” of fabulous light….we can rock any location. Try something fun…you just may love it! 12. Will your camera make me look fat? 13. My husband doesn’t want to take pictures, how do I convince him? I promise you that your kids will want to look back one day and see what you all looked like as they were growing up. Most times that people are resistant to taking pictures it is because it feels fake or posed, and they don’t feel comfortable. On-location photography is a beautiful thing because you don’t have to pose at all. And I promise you I will make this fun and comfortable….it’s my thing. Let’s go hang out at a park and have a good time! Most people are much more relaxed with this type of photography. 14. Do you do boudoir photography? Yup. Sure do. Wouldn’t you like to see? Let’s talk. Privately. 15. I’m not so sure about this maternity photo shoot. I’m self-conscious about my body. Do I have to show my belly? You don’t have to do anything you don’t want to. Maternity photography can be absolutely beautiful, but it’s not for everyone. I do everything possible to make it comfortable, flattering, and tasteful. Yes tasteful. Some moms feel most comfortable keeping all their clothes on, while others are going for shall we say a more “natural” look. I promise you that I will not ask you to take your clothes off, but if that is your thing, we will capture you and your belly in all it’s pregnant glory! 16. I rocked my shoot, now how can I get all my pictures all over my facebook page, family blog, computer, email, digital frame, desktop, twitter etc etc etc. So glad you asked! So you should go to your zenfolio link. Go to the top right of your set and choose “Select photos”. Then at the top right, click download. Zenfolio will give you the option to download all photos or select the photos you would like to download. Then magically, your pictures will dance onto your computer and will be available for all of the above. You can burn them to a disk, load them onto a flash drive, upload them to your flickr account for safe keeping, blog them or whatever else modern technology will entice you to do! Also, you should download the “Photo Moments app” that your email suggested. It allows you to view, share, and even purchase prints of your pictures from your smart phone! Just download this if you have an iphone or this if you have one of those other phones. This app will work when you receive your link, but download it before you do so it is all ready to go! Enjoy, they are your memories…get them out there! 17. Can you just photoshop me until I look like (insert celebrity here)? Twist photography edits each individual image prior to delivering it to you. You will look like YOU! Through flattering posing, creative use of angles, and editing, we will make you look like the best possible version of yourself. However, you will probably not look like Cindy Crawford. Unless you do. More extensive editing can be done for a fee that is charged per picture. It is not something that we do….but we have “people”. 18. So I saw this AMAZING shot on Pinterest. I get it. It’s cute. But it’s not real. And I have seen many a new mom break down in tears when their kids….gasp….don’t want anything to do with this. Or worse….new little munchkin just rolled off the totem pole. For me, your photo shoot is about your moments. I make it my mission during your time to capture the moments you won’t ever want to forget. I never ever want you to look back on your shoot and remember frustration, parental tears, or kid meltdowns because we are trying so hard to capture something that just isn’t real. Real is beautiful. Real just happens. Real is what you want on your wall. Totem Poles will never take your breath away. I hope that this will. Any Twist client can tell you, fast editing is OUR THING! You think you are excited to see your pictures? Maybe, but not as excited as me. I saw them in my head before I took them, I peeked in my camera to make sure they were awesome. I culled every single picture to make sure every one I edit is full of awesomeness. And then I edited each and every one that turned out to give to you. And every step of the way, I am entirely energized by the thought of how happy your moments are going to make you. You have no idea. I try super hard to give you a preview when at all possible, and get your pictures back to you long before you can even wonder when you will get them back. Client love keeps me jazzed about what I do, and I think it’s awesome how a quick turn around time makes my clients feel about their Twist experience. It is the core of my business. Always. I edit in cars, on planes, in coffee shops, or anywhere else I can find a few minutes to myself. I never ever ever want you to have to ask me when you will get your pictures! But I do have a confession. I also have a family. And they are kind of the boss of me. Since adding baby Chases to the mix, I have noticed that they almost never consult me or my to do list before they ask me to play, get sick, get invited to birthday parties, or request food and drink service. Family wins. And yours should too. I shoot in great light early in the morning and right before sunset so that my days are theirs. It’s important. Your editing will happen as quick as humanly possible. And if you follow me on fb, you know that I am not someone who sits still ever. But I cannot guarantee turnaround time, because I am human, and $#!+ happens. So please please please do not use any of the following tactics in your emails…. “Hey Kory, you are awesome and cute and take the best pictures and are so funny and I like your shoes and I will take you to Hawaii if you get me the pictures soon.” Ok…maybe that one is ok. These are all real client requests and sadly, the answer is no. I can’t. Never doubt my commitment to a speedy turn around time and know that emails like this come to me by the dozens during peak seasons and do nothing but slow down the process for everyone. I’m all over it! Clients can typically expect to have their photos delivered within one month. If yours come within a week…..high five. Payment is due at the time of your shoot. We accept paypal, checks, and of course cash. If you do not want to mess with your check book the day of your shoot (because obviously your outfit is more important at the time) please arrange payment prior to your shoot, not after. You will not receive previews or your final pictures until payment has been received. Checks can be made out to Twist Photography, and Paypal can be sent by entering seethetwist.com as the email address here. 21.How can I become your favorite client? Show up on time, early even. Be nice to me. Wipe your kids boogies. Do not wear matching outfits. Have a sense of humor. Laugh at my jokes. Bring bribery for your kids. Be willing to try anything. Tell all of your friends and the facebook community how much you love your pictures. Use the word “amazing” in your reply email after I send you your pictures. 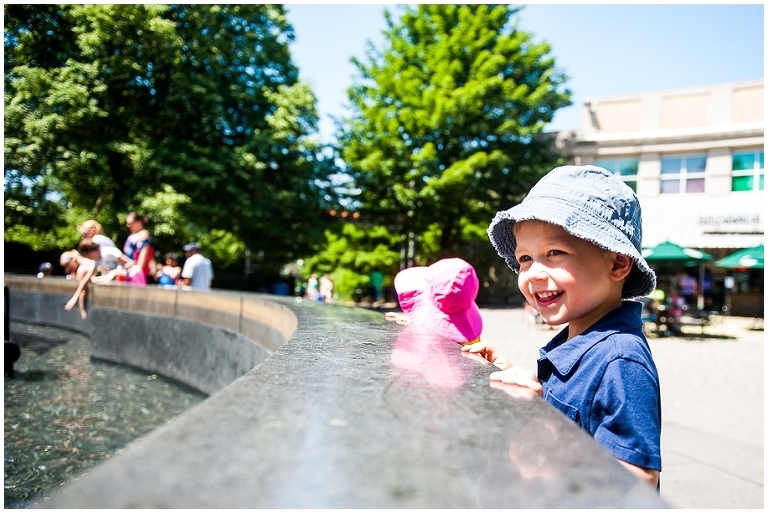 Ahhhhhhh public photo sharing…..yeah we love that. It drives our business, and is the best way to showcase your awesome family. Twist Photography will typically post a few of our favorites from your shoot on Facebook, Instagram, as well as our blog. We will not tag you, unless you would like us to. This allows us to share our most recent photo shoots and show clients what we do. And…..we LOVE that. If you do not love that, please let us know in advance of the shoot.